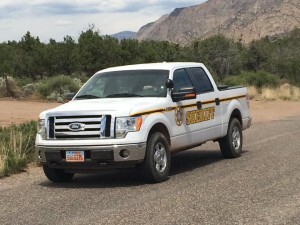 WASHINGTON COUNTY – Washington County Sheriff’s deputies and Utah Highway Patrol troopers spent about three hours talking down a suicidal woman near Interstate 15 in Washington County Thursday. 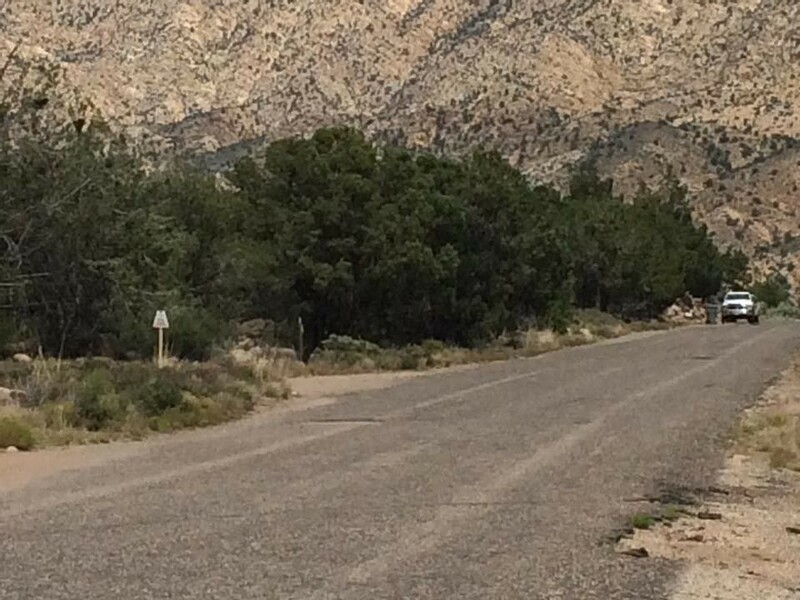 The woman had parked her vehicle in a remote area and reportedly had knives in the vehicle with her. At about 11 a.m., Washington County Sheriff’s Deputy Nate Abbott said, a call came in from a man who said his wife was suicidal and had left their house in distress. The man provided a description of the vehicle she had left in. 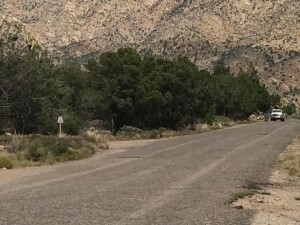 Some sheriff’s deputies were close by and were able to immediately respond and quickly located the vehicle, which had been headed north on a frontage road paralleling I-15 near mile marker 29, Abbott said. “The vehicle went underneath the freeway and then into a remote area up there up on a hilltop and then turned and faced back down,” he said. It was reported that the woman had some knives with her. She was alone in the vehicle, Abbott said. Responding deputies monitoring the situation felt the crisis negotiation team should be called in, because of the circumstances. “In this situation, they secured the scene and contacted the crisis negotiation team, who’s trained to be able to deal with people, talk with people, understand their situation and, hopefully, help them out of something like this,” Abbott said. Responders stayed in contact with the woman via cellphone throughout the incident. Between 2-2:30 p.m., the situation was resolved. “They (the crisis team) responded, were able to make contact with the individual and, eventually, she came down and voluntarily surrendered and voluntarily went to the hospital,” Abbott said. As this report is published, Abbott said drugs and alcohol were not a factor in the incident as far as he knew. He said it was not known what had caused the woman to become upset and leave her home. 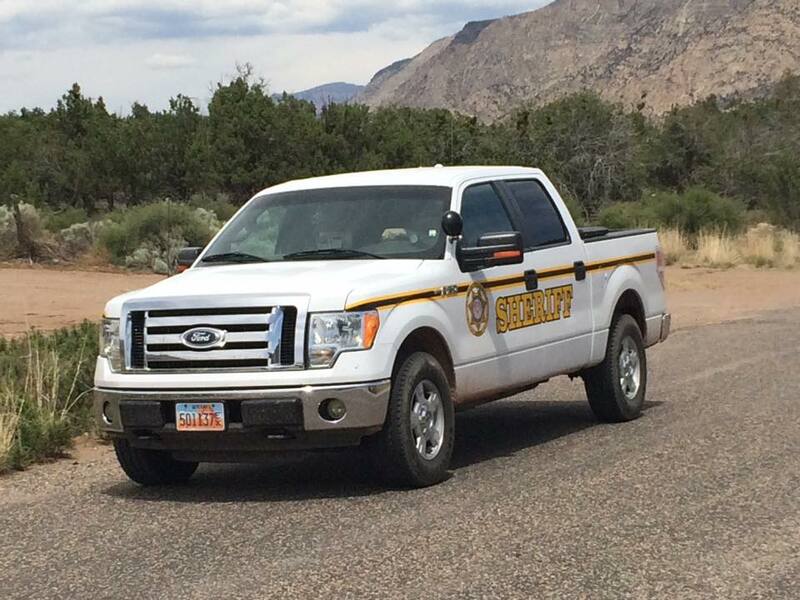 The Washington County Sheriff’s Office responded to the incident with support from UHP.